NIU’s Office of the Executive Vice President and Provost has named Omar Ghrayeb as vice provost for undergraduate studies. 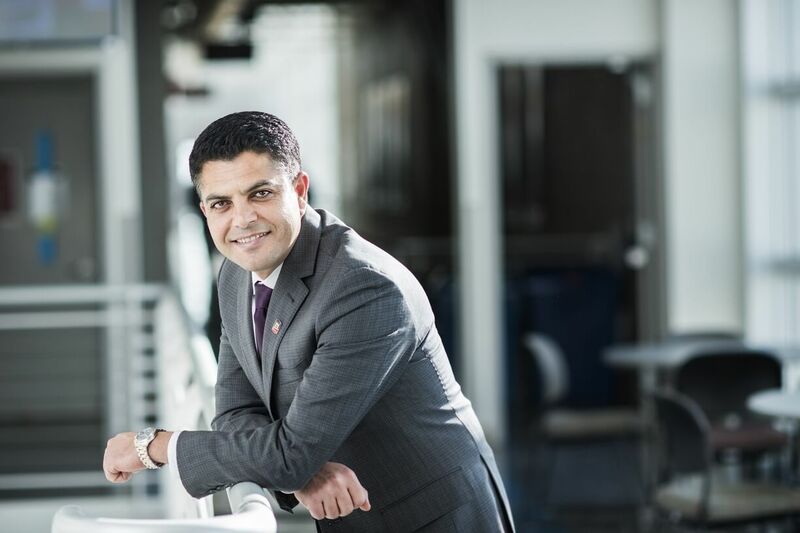 Ghrayeb joined NIU in 2001 as a Department of Industrial and Systems Engineering professor and rose to chair and then associate dean, helping the department nearly double its enrollment. Ghrayeb will direct undergraduate curriculum and academic programming standards, and also oversee retention efforts, including reflecting multicultural perspectives to serve a diverse community of students. Ghrayeb previously was named interim dean to lead the NIU College of Engineering and Engineering Technology. As department chair from 2006 to 2012, his curriculum updates and partnerships with major corporations like Caterpillar, Motorola and UPS provided more hands-on learning, internship and research opportunities for students and faculty members. Since 2010 when Grayeb took on associate dean duties, enrollment in the college increased by more than 40 percent, NIU strengthened its community college partnerships and restructured advising in the college. Ghrayeb will have a five-year term in Office of the Executive Vice President and Provost, effective Aug. 1, 2018. McCord said interim arrangements made in May will remain in place until then.